A perfect stylish & trendy thermal layer for cooler conditions. 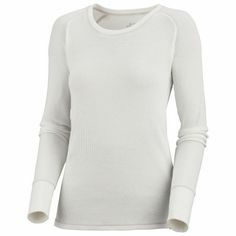 When you feel the nip in the air, reach for the Columbia Crawling Crew thermal shirt for instant warmth. Wear it solo or layer it under your favorite T-shirt. Composed of a cotton/elastane blend, the Crawling Crew thermal shirt offers stretch and natural, next-to-skin comfort.